If you think Twitter handling on iPad is a difficult task, you need to stop thinking unnecessarily and start using some Twitter apps for iPad and turn your difficulty into the easiest of all tasks on earth. Have you ever thought why on earth the applications for Twitter are released every now and then? For a very simple reason – i.e. to make Twittering simple. And when you do not access the micro-blogging site from desktop instead use mobile or tablet, it becomes a difficult task and requires you to have something that makes your task easier, this is why you need applications specifically meant for accessing Twitter from such gadgets. 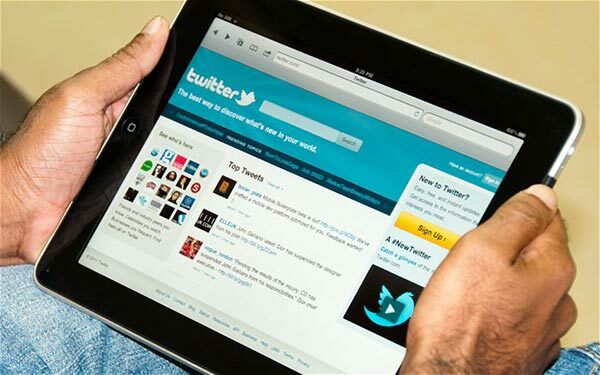 Here are some Incredible Twitter apps for iPad just to make your microblogging experience easier. Follow your interests: instant updates from your friends, industry experts, favorite celebrities, and what’s happening around the world. Get short bursts of timely information on the official Twitter app for iPhone. Real-time search reveals breaking news, while trending topics and maps show what’s happening now around the world. View trends, browse your interests and see suggested users in several categories, including fashion, entertainment and travel, or search to find out what people are saying about topics you care about, such as politics or big sporting events. It gets you pocket full of wonderful features that are supported from multiple platforms that include iPhone, iPad and desktop. You can handle multiple accounts, post new tweets, @replies, DMs, retweets, and repost tweets, mark as favorite, check out your friends and followers, have a look at the search trends. URL shorteners like is.gd, Tiny URL, etc are supported by TweetPocket. You can share pictures with the help of TweetPhoto, Twitpic, and TwitrPix. You can follow as well as unfollow people. The profile pictures can be turned on and off and you even get visual notification. Isn’t it enough? Well one more thing, you even get the source code to build your own app. May be some more things are left, that you can surely check out while using the Twitter apps for iPad. TwitePad is an amazing programming tool which even has support for other apps like Tweetdeck and Seesmic. It supports multiple Twitter accounts and columns. You get to Retweet, send Direct Messages. You also get support for Instapaper, Tweetmeme and bit.ly and lot more. It gets you a tab based browser using which you can switch between the pages. Bookmarking a page or site or reviewing your web history is possible directly from the app. Your latest updates are automatically updated. You can reply, retweet, and even open the links directly in the browser. Along with some other functions you get a really easy user interface. one of the best Twitter apps for iPad. Tweetings HD for iPad another of those Twitter applications for iPad that offers really simple, easy to use, clean, slick and fast access to Twitter on you Apple iPad. You get to search Twitter, check out the trends manage your lists, retweets, upload photos and videos, update your location, find Twitter users located near you on a map, even post all that you are listing on your iPod, shorten the links and etc. These Twitter apps for iPad will surely give a great Twitter experience right from your iPad.